As Tommy and Karen guessed last week, our mystery seeds from last week were from a milkweed. 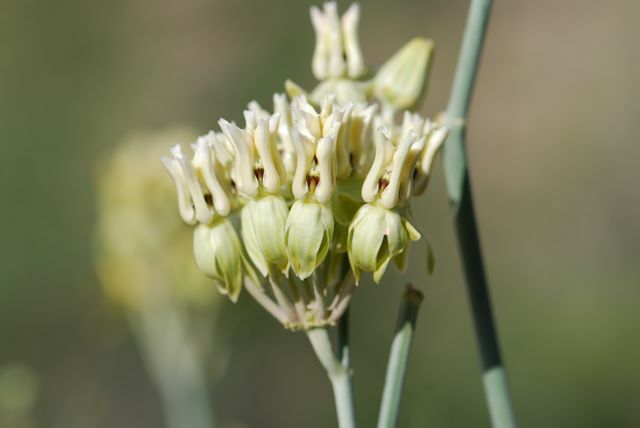 In particular, they are from the rush or leafless milkweed, Asclepias subulata. 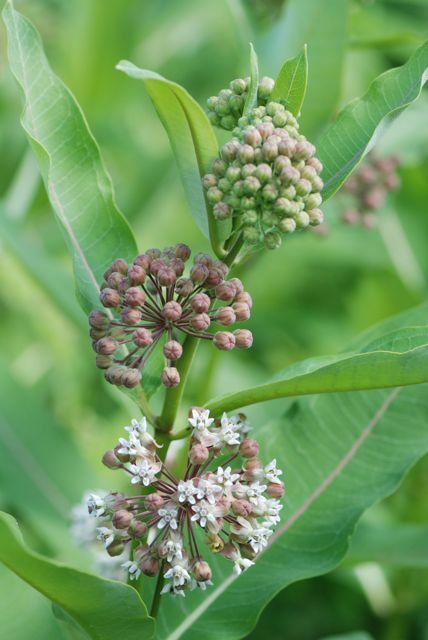 Milkweeds come in a number of sizes and shapes. 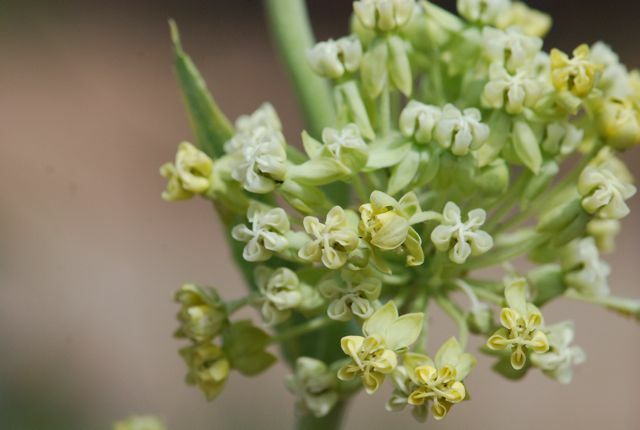 You may be familiar with the broad-leaved milkweed that grows in fields and on roadsides throughout North America: Asclepias syriaca, the common milkweed. The rush or leafless milkweed that grows here in the Southwest lacks the large leaves. Much of the year it looks like a clump of grey-green sticks, as shown in the left foreground of this photograph. The flower structure, pods and seeds of the rush milkweed are similar to its relatives. The rush milkweeds' flowers are yellow, however, rather than pink. 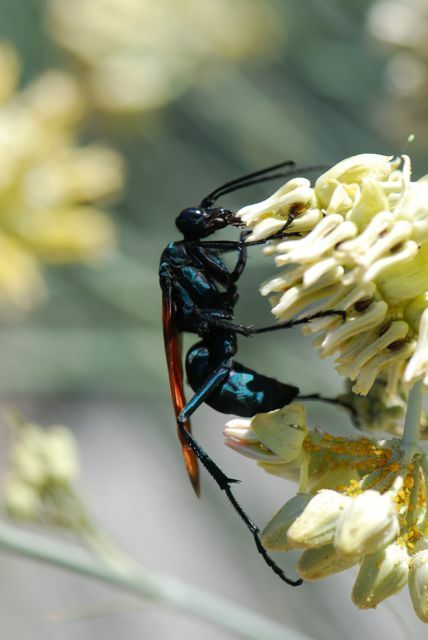 wasps and bees like this tarantula hawk. (The wasps pollinate milkweeds). We grow rush milkweeds as part of a butterfly/insect garden. 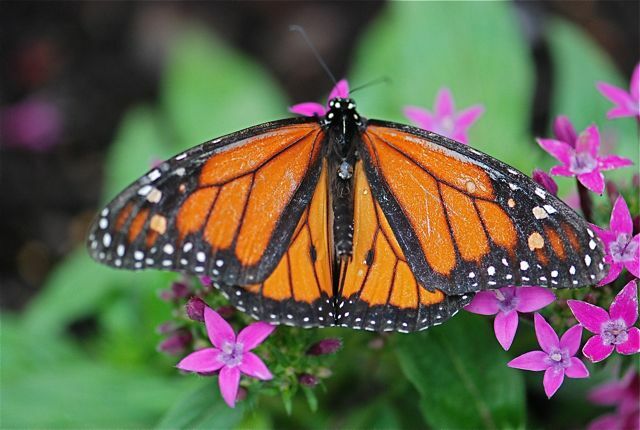 The plants are food for the larvae of queen and monarch butterflies. 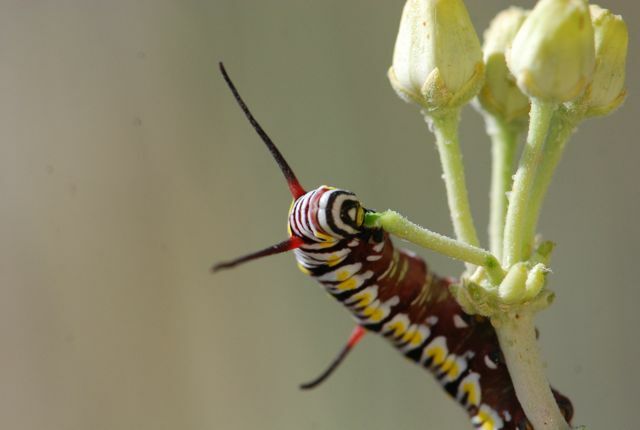 The caterpillars are never so numerous as to harm the plants and the adult butterflies are beautiful. 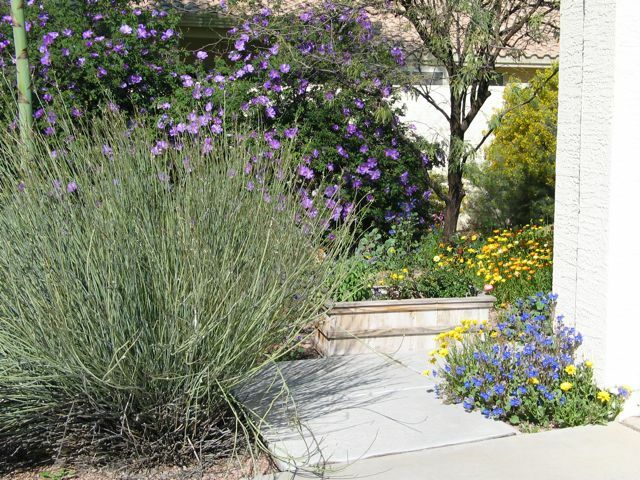 The bottom line is that milkweeds are easy-to-care-for plants that add dimension to any landscape. Do you grow any milkweeds? What kind? 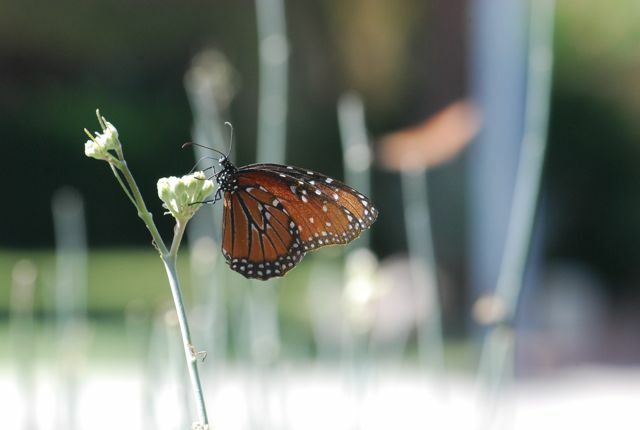 Try Monarchs in the Desert for more information about milkweeds and monarchs. If I grow milkweed, do I need to worry about a danger to my dogs? How likely are your dogs to chew on it? 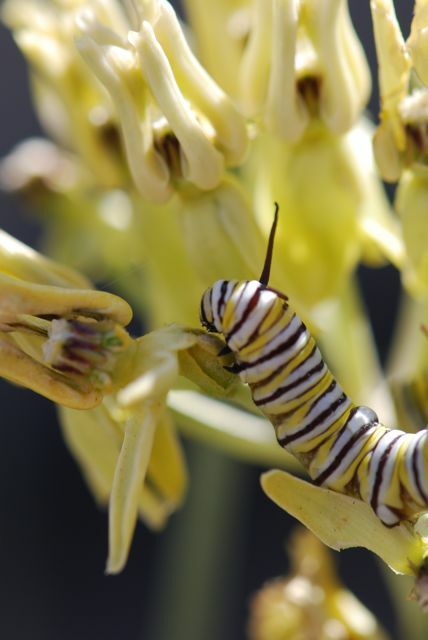 Or try to eat the caterpillars that feed on milkweed and also contain toxins? If you think they might, I would avoid it. You might want to check with your veterinarian, too.